GARDAÍ ARE APPEALING for information about a hit-and-run in Co Kildare this morning. The incident occurred at 7.45am on Main Street in Kill close to the GAA club. 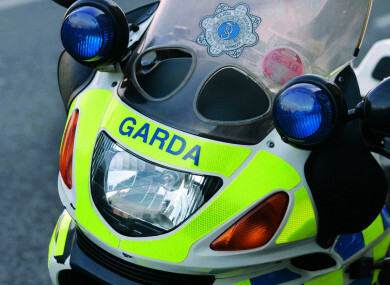 A motorcyclist was travelling from Dublin towards Johnstown when he was hit from behind by a silver-coloured car. The car did not stop and headed in the direction of Johnstown. The motorcyclist is being treated at Naas General Hospital for his injuries which are not believed to be life-threatening. Gardaí said the location is between two stops on the 126 bus route and members of the public waiting for their bus may have witnessed the collision. Anyone with information is asked to contact Naas garda station on 045-884300, the Garda Confidential Line on 1800 666 111 or any garda station. Email “Appeal for witnesses to rush hour hit-and-run in Kildare”. Feedback on “Appeal for witnesses to rush hour hit-and-run in Kildare”.